Key factors included the shift to shale gas for energy in the U.S. while China increased its use of hydropower by 23%. However the use of cheap coal continues to be an issue, with UK consumption up by almost a quarter. The report on trends in global emissions has been produced annually by the Netherlands Environment Assessment Agency and the European Commission's Joint Research Center. It finds that emissions of carbon dioxide reached a new record in 2012 of 34.5bn tonnes. But the rate of increase in CO2 was 1.4%, despite the global economy growing by 3.5%. Prime Minister and Minister for Finance Roosevelt Skerrit, has stated that electricity generated from geothermal sources is set to lower the cost of energy. Benefits derived from geothermal energy generation are expected to extend beyond the domestic electricity market to that of energy export. A significant investment of twelve million, four hundred and seventy-five thousand, nine hundred and eighty-seven dollars ($12,475,987) was made by the Government of Dominica between January and June 2013 for the undertaking of geothermal development works in the Roseau Valley. This included drilling and site preparation works. In a Western Australia first, geothermal energy is being harnessed on a commercial scale to heat a public swimming pool in Kalgoorlie. The geothermal water heating system is almost complete and will heat the Olympic swimming pool at the Goldfields Oasis Recreation Center. Paralana: Focus was on unlocking the $13 million Emerging Renewables Program grant by meeting the conditions precedent to restart the Paralana Geothermal Project in 2014. Spain - Tenerife: In discussions on joint venture arrangements with a major Spanish energy company for the Tenerife geothermal project. A 3D magneto-telluric (MT) survey has defined a geothermal target on the southern slopes of Teide Volcano, Tenerife, in an area suitable for development. Indonesia is a big archipelago made up of big and small islands, rich in natural resources including oil, gas coal and other minerals. However, the country's heavy dependence on mineral resources for energy reaching 95 percent has led to early depletion of the reserves notably oil and gas reserves. The Philippines, which is also an archipelago like Indonesia, has been more advanced in the utilization of geothermal energy despite having only 14 percent of the world's total reserves and a much lower potential capacity compared to Indonesia. However, it has been able to generate 1,904 MW of electricity from its total potential capacity of 6,000 MW. The Philippines, which has small oil reserves, has developed geothermal power for 20 years prompted by global energy crisis in the 1970s. geothermal is an untapped resource in Texas. The myriad oil and gas wells perforating the Eagle Ford Shale and other Texas shale plays could be a source of hot water used to generate clean electricity, a Southern Methodist University (SMU) scientist says. New steam-engines allow water from deep within well sites — often above the boiling point — to produce both power for utility companies and revenue for well operators, says Maria Richards, a researcher at Southern Methodist University’s Geothermal Laboratory and GRC member. The 1 MWe Habanero Pilot Plant Trial was successfully completed with no safety or environmental incidents. Prior to closure of trial, the plant was operating at 19 kg/s and 215°C production well-head temperature; the highest results ever achieved at the plant. 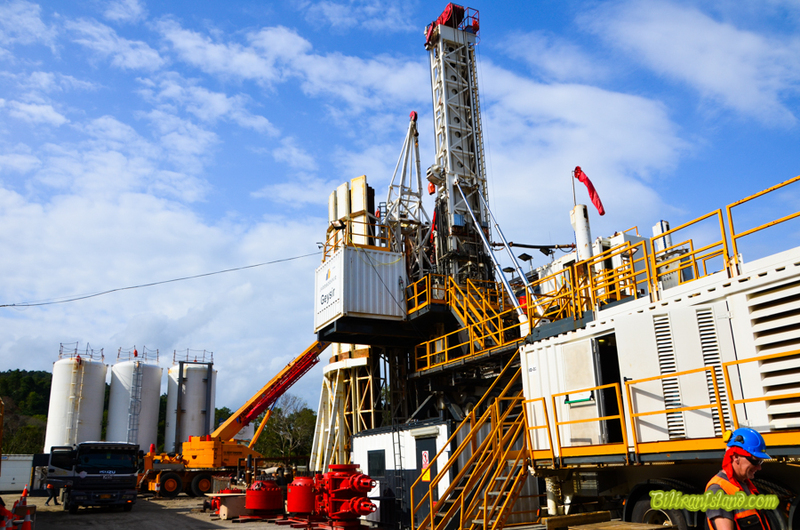 In September, Geodynamics announced its intention to acquire 100% of geothermal energy company, KUTh Energy Limited, through a conditional off-market takeover offer. The proposed acquisition aligns with Geodynamics’ strategy to develop a portfolio of high quality small-medium scale conventional (“volcanic-hosted”) geothermal projects initially targeting the Pacific Islands region, capable of providing strong revenues to shareholders within a short timeframe. Former Chief Scientist, Dr Doone Wyborn, was awarded the Geothermal Resource Council Special Achievement Award. The Energy Department's Office of Energy Efficiency and Renewable Energy (EERE), as part of its commitment to strengthen the nation's clean energy economy and to increase communications with the public and other stakeholders, today announced the launch of a new blog on Energy.gov. The blog is focused on providing updates on current EERE projects, interviews with energy experts, and other stories about EERE technology offices, cross-cutting initiatives, and the Department's national laboratories. 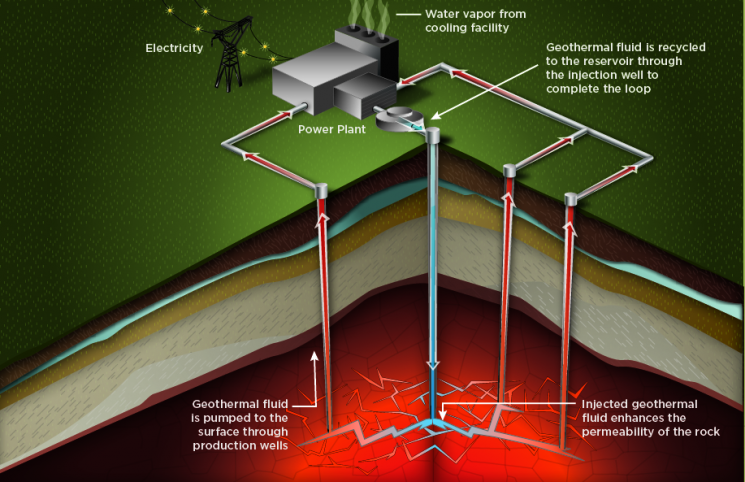 The blog has a section for geothermal. EERE welcomes you to visit the new blog and news page, which is part of a broader Web redesign of the EERE home page and aims to be a more streamlined, integrated Web experience for users. Two U.S. Senate Democrats on Tuesday unveiled a bill requiring utilities to generate 25% of their electricity from renewable energy sources by 2025. 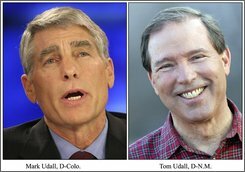 The bill, introduced by Senators Mark Udall of Colorado and Tom Udall of New Mexico, who are cousins, is similar to the Colorado Renewable Energy Standard, a ballot initiative approved by that state's voters in 2004 that requires investor-owned utilities to generate 30% of their electricity from renewables by 2020, the senators said. The senators plan to attach the bill as an amendment to an energy efficiency bill, which is expected to be voted on sometime this year. A similar bill, the Renewable Electricity Promotion Act, was introduced in 2010, but never made it out of committee. After complying with all legal and governmental permits and requirements, Biliran Geothermal Incorporated (BGI) started drilling its first well this morning at around 6 o’clock for the initial 49 MW power project in Brgy. Cabibihan, Caibiran, Biliran in the Eastern Visayas region of the Philippines. On their timeline, a BGI Power Plant is expected to be commissioned on the last quarter of 2015 to the first quarter of 2016. The Kenya Electricity Generating Company (KenGen) has posted an 86 percent increase in profit after- tax in its full year results from Sh2.8 billion in 2012 to Sh5.2 billion for the year ended June 2013. KenGen Managing Director Simon Ngure announced that their assets base grew by 16 percent to Sh188.6 million from Sh163 million in the previous year attributed to development projects namely Geothermal Wellheads - 65 MWe, Olkaria 1 and IV power plants - 280 MWe and drilling of 80 wells for the 560 MWe projects. "Non-current liabilities increased from Sh77.9 billion to Sh96.8 billion due to new loans received for Olkaria 1 and IV, drilling of the 80 wells project and rigs," he said. He said that cash balances increased by 81 percent from Sh436 million to Sh3.9 billion due to funds received from financiers of the ongoing Olkaria Geothermal 280 MWe project. Ngure said that the implementation of the flagship Olkaria I and IV 280 MWe plant is on course. "The first unit of Olkaria IV - 140 MWe is expected to be commissioned in December and the second Unit by March 2014," he announced. He says that the drilling of 80 wells for the 560 MWe geothermal power projects is also on course. More details are emerging of the massive deal to build a 1000 MWe geothermal energy farm in Ethiopia. The Ethiopian Electric Power Corporation (EEPCO) is set to pay 630.7 million dollars a year to Reykjavik Geothermal (RG), once the latter completes its 1,000 MWe geothermal project near Shashemene, 240km south of Addis Abeba. After negotiations that spanned 18 months, the two parties signed a Power Purchasing Agreement (PPA) on Wednesday, October 23, 2013 at Sheraton Addis. The agreement calls for a tariff of 0.079 dollars a kWh for the first 500 MWe of the project, and 0.065 dollars a kWh for the second phase, which accounts for the remaining 500 MWe. As part of the 25-year agreement, for a year and half, Reykjavik will generate 20 MWe, according to the PPA. Details will be clearly defined in the supplemental agreements to be signed within the coming three months, according to Mihiret Debebe, chief executive officer of EEPCO. By 2016, the capacity is projected to be 100 MWe and reach 500 MWe by 2020, completing the first phase of the project. The power plant is to be constructed at Corbetti Caldera - a volcanic mountain in Ethiopia's Rift Valley at a total cost of four billion dollars. For Vancouver-based Alterra Power Corp., today’s big geothermal energy opportunities lie outside Canada. Publicly traded renewable energy specialist Alterra operates two geothermal plants in Iceland with a total capacity of 172 MWe and a 23 MWe capacity facility in Soda Lake near Reno, Nev. It owns the latter outright and the former with Icelandic pension funds. Alterra’s largest and most promising new geothermal development is the Mariposa project in Chile, which CEO John Carson says could be the country’s premier known geothermal resource. Located south of Santiago, Mariposa has an inferred capacity of 320 MWe. Alterra is preparing for large-scale production drilling next fall. Its partner on the project is Manila-based geothermal producer Energy Development Corp., which is contributing about $60-million. Production Corp., in Saskatoon on Monday. 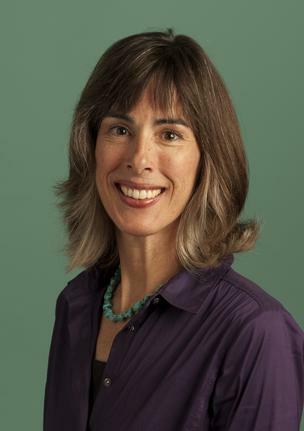 Kirsten Marcia aims to launch an energy project with profound implications for Canada. A geologist by training, Ms. Marcia is president and CEO of Deep Earth Energy Production Corp., a Saskatoon-based startup she cofounded in 2010. DEEP’s ambition: to become Saskatchewan’s first geothermal power producer by tapping a vast hot aquifer three kilometres below ground near the city of Estevan. Lying just under the Earth’s surface, the East African Rift is a region rich in geothermal resources. Exploitation of this clean and green energy source is steadily been gaining momentum. What is the geological mix that makes the Rift Valley ripe for geothermal power and how is it being tapped? The East African Rift, stretching from Djibouti to Mozambique, marks the trace of a continent slowly tearing apart. At rates of about 1-2 cm per year, the African continent will one day split into two separated by a new ocean. When continental rifting occurs, volcanism shortly follows. As the continent steadily stretches apart, the Earth’s crust thins allowing an easier path for buoyant magma to rise up. Where the magma cracks the surface, volcanoes build up. Dotting the Rift Valley are many active, dormant and extinct volcanoes. Famously active ones include Nyiragongo in the Democratic Republic of Congo, Ol Doinyo Lengai in Tanzania and the bubbling lava lake at Erta Ale volcano in Ethiopia. Nonbinding pact formally aligns California's clean energy policies with those of Oregon, Washington state and British Columbia. Gov. Jerry Brown signed a new pact Monday to formally align California's clean energy policies with those of Oregon, Washington state and British Columbia. The agreement commits all four governments to work toward ways to put a price on carbon pollution, require the use of lower-carbon gasoline and set goals for reducing greenhouse gases across the region. Although the agreement signed Monday is not legally binding, environmentalists in California are hopeful that it could serve as a road map for the next wave of state policy. "It sends a signal to the Legislature," said Dan Jacobson, legislative director for Environment California, an advocacy organization, "to start introducing the bills to put these goals into law." 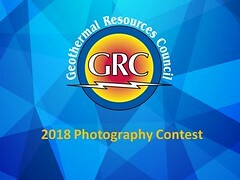 The Geothermal Resources Council (GRC) and the U.S. Geothermal Energy Association (GEA) have released a new, joint report titled "The Values of Geothermal Energy: A Discussion of the Benefits Geothermal Power Provides to the Future U.S. Power System (PDF)." Prepared by our own Brian Schmidt, GRC Librarian, and Ben Matek, GEA's Industry Analyst, the new report documents the many benefits of geothermal power. "Geothermal power offers both firm and flexible solutions to the changing U.S. power system by providing a range of services including but not limited to baseload, regulation, load following or energy imbalance, spinning reserve, non-spinning reserve, and replacement or supplemental reserve," the report begins. The Provincial Government of South Sumatra (Pemprov Sumsel) will open a tender for two geothermal blocks in 2014, Head of Mining and Energy Development of South Sumatra Robert Heri said on Friday. "In South Sumatra, there are three mining areas (geothermal WKP) established by the Ministry of Energy and Mineral Resources, namely Tanjung Sakti, Lawang and Rawas block. Two blocks, Lawang and Tanjung Sakti, will be tendered in 2014," he said. Currently, Turkish company Hitay Investment Holdings, is conducting the initial survey to determine the potential energy contained in the WKP. "Hitay is interested in building geothermal power plants. In terms of geothermal potential, our 2016 target is 2 to 4 trillion IDR," said Robert Heri. come from? Researchers analyzed various factors. Vast energy sources are slumbering below big cities. Sustainable energies for heating in winter and cooling in summer may be extracted from heated groundwater aquifers. Researchers from Karlsruhe Institute of Technology (KIT) and Eidgenössische Technische Hochschule Zürich (ETH Zurich) developed an analytical heat flux model and found that increasing heat in the underground is mainly caused by an increase in surface temperatures and heat release from buildings. Forestry Minister Zulkifli Hasan said it was hoped that the development of a geothermal power plant (PLTP) in Mt. Rajabasa, South Lampung, by geothermal producer PT Supreme Energy could be implemented without causing any conflicts with local people. Zulkifli said the Forestry Ministry would issue forestry permits, popularly known as borrow-to-use permits, for forest areas in Mt. Rajabasa only if local communities approved the project, which he said was for the sake of people’s prosperity. Zulkifli said more needed to be done to make people more aware that the geothermal power plant was a government project, and most importantly that geothermal energy was renewable and environmentally-friendly. Iceland’s president Olafur Grimsson is expected this week to call on the British government to provide financial support for the construction of a £4.3bn subsea electricity cable – which will be the longest in the world – linking his country to the UK’s electricity grid. The ambitious project, drawing on hydro, geothermal and wind power generation, could deliver five terawatt-hours a year to Britain at a cost 15% lower than offshore wind, according to Iceland’s state-owned electricity firm Landsvirkjun. By Sadiq Zarrouk, Geothermal Reservoir Engineer and a Member of the Board of Directors of the International Geothermal Association. There is no shortage of information, misinformation and fears raised about hydraulic fracturing (fracking). Some of the bad press around “fracking” has been well-earned. But the negatives surrounding its use by the oil and gas industries to improve the production of wells is threatening progress in places where there should be no anxiety about fracking. Hawaii is one such place, judging by recent legislation attempting to preemptively exclude fracking from the urgent conversation about geothermal that is currently underway. As a scientist who works and lectures on geothermal issues and projects, I offer the following observations to help correct serious misconceptions and facilitate a more informed conversation about how to move Hawaii forward with regard to tapping its incredible geothermal resources. Mark Coolbaugh, Chief Geoscientist with Imageair, Inc. and Adjunct Research Assistant Professor at University of Reno (UNR), will be presenting “Blind Geothermal Systems” at Nevada Petroleum and Geothermal Society (NPGS)’s November Meeting. Where: Ramada Reno Hotel and Casino, 1000 E. 6th Street, Reno, Nevada. NPGS Members $20, Non-members $23, Students $10. RSVP no later than Tuesday, November 5th. Alex Richter speaks with Bahay Ozcakmak, CEO of developer Imparator Enerji, about the company’s Tuzla geothermal power project his view on the overall development activities in Turkey. Part of the International Finance Corporation (IFC) - International Geothermal Association (IGA) Service GmbH project, the IGA Academy offers two developer’s workshops in Izmir, Turkey and a one-day field trip to Kızıldere Geothermal Power Plant in Denizli. The currently offered workshops together with financing workshops will finalize the project. The developers workshops are based on the material presented in the guide but they will go into greater technical detail on the chosen topics. The workshops address to experts and technically people interested in exploration. It offers detailed information of selected technologies to explore geothermal targets. Those are Geology, Exploration Drilling, Geophysics, and Geochemistry. Those technologies are part of exploration strategies which are developed and presented within the Best Practice Guide for Geothermal Exploration which offers guidelines for exploration worldwide depending on geological plays and settings. The county and IID are pledging to seek federal, state and local funds to develop the lake’s geothermal energy area. 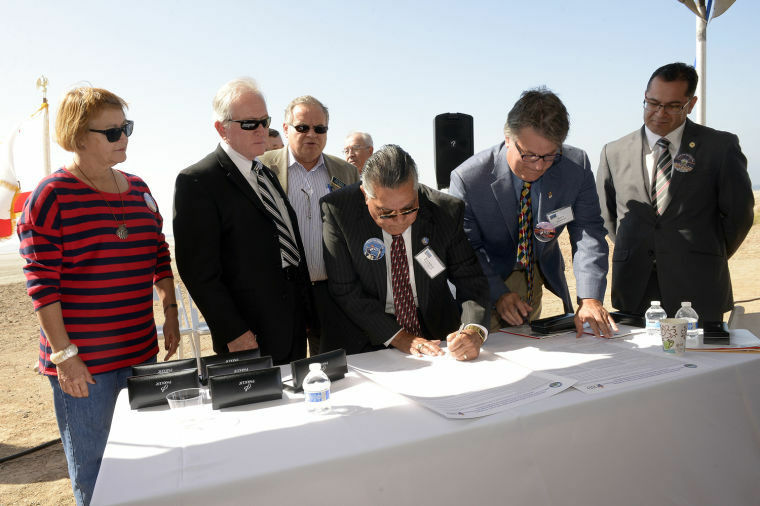 Officials from the Imperial Irrigation District and Imperial County signed a Memorandum of Understanding at a ceremony Thursday, that outlines how the two agencies will cooperate to restore the Salton Sea. Both agencies’ boards unanimously approved the document earlier in the week.The development of the Salton Sea’s renewable energy resources is crucial to the sea’s restoration, officials say. The county and IID are pledging to seek federal, state and local funds to develop the lake’s geothermal energy area and a commitment from the state to fund and construct an energy transmission line to export energy generated in the area. 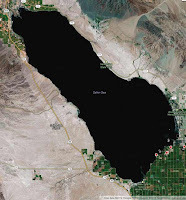 An estimated 1,700 MW of energy lie below the Salton Sea, most of which has yet to be tapped. Work still continues at the site of the two geothermal wells, says Director of Public Works Ron Beardsley. The official was responding to queries about the progress on the project now that the Iceland Drilling Company has completed their work here. “Well MON-01 is currently flowing and long term testing which will take approximately three weeks is about to commence,” explained Beardsley. The second well, called MON-02 “is shut in and is currently warming up after the drilling phase. Testing of this well will follow on after completion of testing of well MON-01. On completion of testing both wells will be shut in as we move into the next phase of development,” the public works official explained. Boreholes up to two miles (3.2km) deep will be drilled in Manchester to use a thermal spring to heat homes. Proposals by GT Energy for the exploratory drilling in the Ardwick area have been approved by the council. If the two boreholes are successful, further plans will be submitted to create a network of underground pipes taking heat to houses. GT Energy says it will reduce energy costs for 6,000 homes and businesses. Drilling rigs are 40m (130ft) high and the plant will take 12 months to build. The water temperature underground, in the ancient Cheshire Basin reservoir, is about 100C (212F). The Rocky Mountain Oilfield Testing Center (RMOTC) in Wyoming, USA, is preparing to run its first big sale of equipment and materials, probably including geothermal energy items, related to the sale of Naval Petroleum Reserve Number 3 (NPR3). The sale is set to run for two weeks from November 9th to November 23rd. This sale will be done via public online auction through the General Services Administration (GSA) website. To receive more information on sale items as they become available please sign up here. Since 2006, several geothermal power production companies and the Department of Energy have expressed interest in demonstrating low-temperature geothermal power projects at the RMOTC. Renewable energy advocates are split over whether fracking for geothermal resources is any better than conventional oil and gas fracking. A new form of fracking is creating hope and controversy among those aiming to invest in renewable energy. Fracking for geothermal energy uses the same technology as traditional oil and gas fracking operations, injecting a fluid combination into the ground to break up and access shale formations. In the case of geothermal exploration, the goal is to access underground reservoirs of very hot water and steam needed to operate geothermal energy plants. A revolutionary multi-million euro geothermal energy project for Navan is one of the topics being discussed at a Sustainable Energy Conference in the County Meath town today and tomorrow. The conference, which is hosted by Navan Chamber of Commerce will discuss s proposal which would see a well being driven 4.5 km underground to generate electricity. The Chamber believes the geothermal project would be a major incentive to job creation to the town and would, in particular, provide an incentive to the government to push ahead with plans for the new regional hospital in Navan. 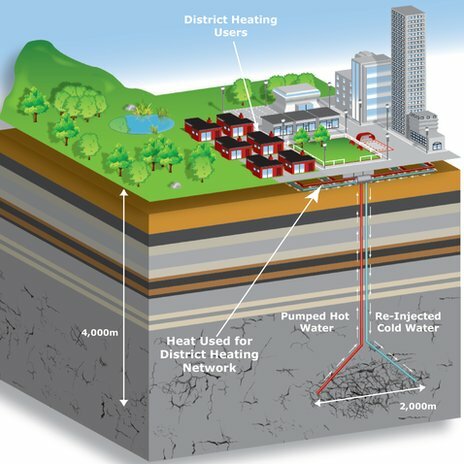 The state-of-the-art, deep-bore geothermal technology would tap into hot spots deep underground in Meath, heating water in the pipe to a 160 degrees, hot enough to drive an electricity generating turbine, which would supply 20 MWe to the national grid. A geothermal field covering an area of more than 70 square kilometers has been found in the city of Bozhou, Anhui province on Wednesday, according to the provincial geological environment regulator. By national standards, the field, which is expected to have a capacity of 77.88 MWe, is recognized as a large-sized geothermal field. If it is fully exploited, the total amount of terrestrial heat will be equivalent of 8.27 million tonnes of coal, but only the former can reduce as many as 200,000 tonnes of carbon dioxide and other pollutants. "The geothermal field is the first of its kind in the province and among the few in China," said Guan Yu, deputy director of the Anhui Geological Environment Monitoring Station. This year marks the centennial of the first commercial electricity production from geothermal resources. A technology centuries in the making, thermal energy generated from the Earth was used for hot baths, greenhouses, and direct heat long before it was harnessed as a power source. Since the first modest 250-kilowatt geothermal power plant came online near Pisa, Italy in 1913, geothermal electricity production has grown steadily, tapping a reliable, nearly inexhaustible reserve of hydrothermal systems where fluid, heat, and permeability intersect naturally in the subsurface. American-Icelandic company Reykjavik Geothermal and Ethiopia signed a $4 billion deal Wednesday to develop a 1000 MWe geothermal farm, officials said. Three-quarters of the project is funded by Reykjavik Geothermal, backed by private investors, while 25% will be borrowed. $40 million of investment has already been secured. The geothermal farm -- located 200 kilometers (124 miles) south of the capital Addis Ababa -- will be built in two phases, with the first 500 MW phase to be completed in 2018. The second phase is expected to be finished in 2021. Total Energy USA is a unique conference and expo that assembles all energy technologies––fossil, nuclear and renewable––for a comprehensive look at the intersections affecting business decisions. Total Energy USA Conference and Exposition is the game-changing conference that’s attracting leaders from every energy sector to explore the business opportunities presented by the intersection of energy technologies. There is a discount for $100 off full conference registration if you use "GRC" code during the registration process. Deep geothermal energy production in the UK has potential to generate utility level returns for investors but not without significant risk and uncertainty. . There are no deep geothermal power plants in the UK, despite government grant awards and eligibility for the Renewables Obligation. The Department of Energy and Climate Change (DECC) therefore commissioned Atkins to draw together all the evidence to explore the sector’s potential. The study report (PDF) is the output of this work. It is concluded in this study that deep geothermal energy production in the UK has potential to generate utility level returns for investors but not without significant risk and uncertainty. Continuing on from my first post on The Volcanoes of Taupo, this one will focus all about the hot, dangerous and ever changing geothermal systems of the Taupo Volcanic Zone. The link between volcanoes, geothermal systems, and precious metal formation is quite strong, as most gold deposits are formed via the interaction of hot hydrothermal fluids with their surrounding rocks. The Imperial Irrigation District Board of Directors on Tuesday formalized its push to restore the Salton Sea and transform the area into an energy producer with its unanimous approval of a Memorandum of Understanding (MOU) on the matter with the county of Imperial and the Imperial County Air Pollution Control District. The County Board of Supervisors unanimously approved the MOU at its public meeting earlier that day. The document outlines how the three agencies will work together to address the decline of the Salton Sea and to avert widely feared environmental and economic consequences if nothing is done. The county and IID pledge to work together to seek federal, state and local funds to develop the lake’s geothermal energy area and a commitment from the state to fund and construct an energy transmission line to give the IID the capacity to export energy generated in the area. CanGEA has been diligently working on such a plan over the past two years. Despite our persistence it remains uncertain whether Western Economic Diversification Canada will financially support the Canadian Geothermal Energy Industry Technology Roadmap & Implementation Plan (TRM&IP). At this time, CanGEA vitally needs financial support so that it can complete the TRM&IP and press the federal, provincial, and territorial governments for the legislative and financial support that will allow the industry to gain a foothold in Canada. The ring of fire is a geologic region that extends in a horseshoe shape from the bottom tip of South America, up along the Pacific coast through North America, and looping back through Asia and down to New Zealand. It's lined with more than 400 volcanoes, and as the Johnny Cash song goes, it "burns, burns, burns," which also means it's a geothermal dream zone. Mighty River Power (MRP) had the lowest first-quarter hydro generation since the company was formed, down by more than a third in the three months to the end of September. Electricity sales to MRP customers were down 5%, reflecting lower national demand and an 8% drop in commercial sales volumes. The lack of water in the Waikato River feeding MRP's hydro stations was partly offset by extra geothermal production from MRP's new Ngatamariki, Waikato, power station, which accounted for almost half of the company's generation in the September quarter. University of Minnesota researchers have developed a new energy technology that removes carbon dioxide from the air while generating electricity. Energy firm Heat Mining Company recently bought the rights to the system, called Carbon Dioxide Plume Geothermal technology or CPG. Kenneth Carpenter, the firm’s managing partner, said Heat Mining Company plans to build its first power plant using the CPG technology in June. He said he expects the technology to expand, and the plant is set to open in early 2016. The country's first geothermal laboratory will be located in Sucofindo’s Palembang office in South Sumatra. After the laboratory is built, private geothermal operators will no longer have to travel abroad just to test samples. There are several companies exploring, such as Supreme Energy and Hitay Group. The Ministry of Energy has set three working areas in south Sumatra, including in Tanjung Sakti, Rawas and Lawang. South Sumatra Governor Alex Noerdin said Sucofindo made the right decision by choosing Palembang as the location for Indonesia’s first geothermal lab. In addition to having the largest reserves, the South Sumatra province also has substantial reserves of coal and coal-bed methane. Sucofindo Vice President Heru Riza said that South Sumatra has the largest geothermal reserves in Indonesia, estimated to reach 1,000 MWe. This was the main reason that Palembang was chosen as the location of the geothermal laboratory. The Japan International Cooperation Agency (JICA) and the Geological Survey of Ethiopia (GSE) have agreed to formulate an 18-month project on the Development of Geothermal Energy Master Plan as per the agreement signed between JICA and the Ethiopian government in April 2013. It was also mentioned on the occasion that the aim of the project is to conduct potential analysis in 18 sites and 15 sites for prioritization analysis out of them according to the set criteria to produce a Geothermal Master Plan for Ethiopia. Mr. Gosaye Megiste Abayneh, Director of Energy Studies and Development, Ethiopia Ministry of Water and Energy gave a presentation on Ethiopian Renewable Energy Sector Development Program (PowerPoint) at the 2013 GRC Annual Meeting. Good news for Indonesia's geothermal power potential. The Indonesian government is getting closer to issuing a new law that will make it easier for investors to tap the country's huge geothermal energy potential. A committee of Indonesia's House of Representatives (DPR) supports a bill that was proposed by the government, which aims to spur investments in the country's geothermal energy sector through providing a better legal framework. Indonesia is estimated to contain the world's largest geothermal energy reserves. The main problem for geothermal energy development in Indonesia is the legal framework. Currently, geothermal activities are lawfully defined as 'mining activities' (Law No. 27 2003), which implies that it is prohibited to be conducted in protected forest and conservation areas (Law No. 41 1999), even though geothermal mining activities have a small impact on the environment (compared to other mining activities). However, about 60 percent of Indonesia's geothermal energy is located in soils beneath protected forest and conservation areas and thus is prohibited to be extracted. The government of Indonesia has only recently realized the potential of geothermal energy in the country and is therefore yet to create a conducive climate, in particular a sound legal framework. If this new bill is approved by a plenary meeting in April 2014 then it is expected to give a boost to the country's geothermal energy exploration and exploitation. Underscoring President Obama’s Climate Action Plan to cut harmful emissions and double energy efficiency, the U.S. Energy Department is taking action to develop the next generation of combined heat and power (CHP) technology and help local communities and businesses make cost-effective investments that save money and energy. As part of this effort, the Department launched today seven new regional Combined Heat and Power Technical Assistance Partnerships across the country to help strengthen U.S. manufacturing competitiveness, lower energy consumption and reduce harmful emissions. Construction on a 11.5 ha tomato greenhouse in the German town of Kirchweidach is going as planned. The installation will be connected to a geothermal well later this year. The definitive power plant of GEOenergie Kirchweidach GmbH, supplying both heat and electricity, will only be ready in 2015, but the end of this year heat will already be supplied to the greenhouses. This is done with a smaller pump and a heat exchange system with a capacity of 40 litres of water per second. The water temperature is 125 degrees and the water comes from 3,400 meters depth. This will be more than enough to heat both the greenhouse and the municipal network. The first tomato plants are expected to arrive in the nursery early next year. Every year, thanks to the geothermal plant, more than 4.2 million litres of fuel oil and thus 8.4 million tons of CO2 is saved. Thursday Nov 7th 2013, 9:00 a.m. - 1:30 p.m. NOTE: An optional tour of the Glass Buttes Exploration Project will follow the meeting. The site is located approximately 75 miles east of Bend. Planned return to Bend is at 5:30 PM. *Preregistration is encouraged. Please register by Nov. 1. Please email linda.ross@state.or.us with the following: name, organization, address, e-mail address and phone number. Access: The Environmental Center is centrally located in downtown Bend with hotel accommodations nearby and modest onsite parking. 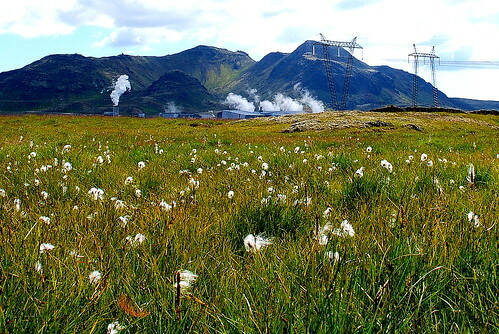 The Reykjavík City Council yesterday agreed to authorize Reykjavík Energy (OR) to connect the Hellisheiðarvirkjun power plant with new boreholes in the Hverahlíð geothermal area by a new pipe. The board of OR requested permission to do so to revitalize geothermal energy production at the power plant. Renewable energy sources (i.e., biomass, geothermal, solar, water, wind) accounted for 30.03% of all new U.S. electrical generating capacity installed in the first nine months of 2013 for a total of 3,218 MW. That is more than that provided thus far this year by coal (1,543 MW – 14.40%), oil (27 MW – 0.25%), and nuclear power (0 MW – 0.00%) combined. However, the news for geothermal energy is mixed. Although the U.S. is sitting on an incredibly rich pile of untapped geothermal resources, even after decades of R&D it has yet to take off as a mainstream energy source. Practically all of that nice new technology has been going overseas. Notably, one key customer for US geothermal companies is Kenya, where the government is aggressively supporting geothermal projects. Ironically, as we've noted before, some of that taxpayer-supported technology has also gone to revolutionize gas and oil drilling, leading to today’s notorious fracking boom. The U.S. geothermal sector could soon claim its own, though. A few years ago, the Department of Defense realized that there was enough geothermal potential under military property to power all of its electrical needs, with plenty left over for the civilian grid. That explains why geothermal got a major chunk of the Defense Department’s $7 billion renewable energy buy, with contracts for multiple projects going to Constellation NewEnergy, ECC Renewables, Enel Green Power North America, LTC Federal, and Siemens Government Technologies. The use of hydraulic fracturing has unlocked vast new reserves of natural gas. Now AltaRock, a startup based in Seattle, is developing technology that might do the same for geothermal resources, turning a marginal power source into a major source of carbon-free electricity and heat in the United States. Earlier this year near the Newberry Volcano in Oregon, AltaRock demonstrated a key part of that technology, a process akin to fracking. Just as fracking involves pumping high-pressure liquid into underground shale formations to unlock natural gas and oil that’s been trapped there, the new technology could unlock heat trapped deep underground. Unlike solar and wind power, that heat would be available around the clock and in all sorts of weather. Simbol Materials has appointed Dr. John Burba as President and CEO. The former Chief Technology Officer of Molycorp, Inc. will move the company forward with commercializing its proprietary mineral extraction technology, unlocking a vast untapped resource for lithium and other specialty materials from the mineral rich geothermal brines located in the Imperial Valley in California. This appointment follows a major milestone at the company’s demonstration plant with the production of battery grade lithium carbonate from the brine of an operating geothermal power plant (the John L. Featherstone Power Plant), a world’s first. The company is targeting to break ground in 2014 with initial production of approximately 15,000 metric tonnes of lithium carbonate equivalent (LCE) to include both ultra-pure lithium hydroxide and lithium carbonate. A cold climate, low energy costs, low-latency fiber connections to Europe and North America--there are lots of reasons why Iceland is a nice location for a data center. 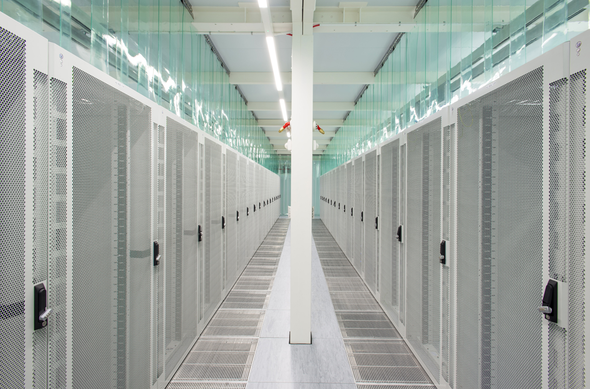 See inside Verne Global's new data center in Iceland and find out why cold-climate countries are becoming increasingly popular data center locations. The facility itself is a former NATO command center in Keflavik, near Reykjavik on the southwestern coast. Power comes from a nearby geothermal plant. Among other goals, clients--which currently include risk management company RMG and auto giant BMW--aim to lower their carbon output. Abstract submission for the 2014 Stanford Geothermal Workshop will close tomorrow on Tuesday 22nd October 2013. The workshop will be held February 24-26, 2014 at Stanford University, California.